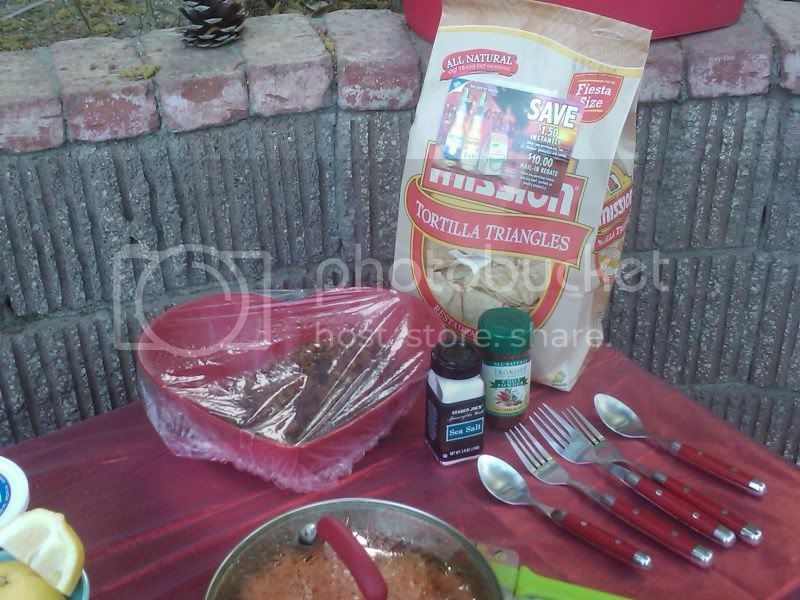 WE had a impromptu Cinco de Mayo celebration in our backyard last night. We went for something easy - something that would help us get rid of some of our left overs from taco night Monday. Table spread. I just use cut fabric and our day to day fun dishes - I am not a fancy person, I like things to feel like home! 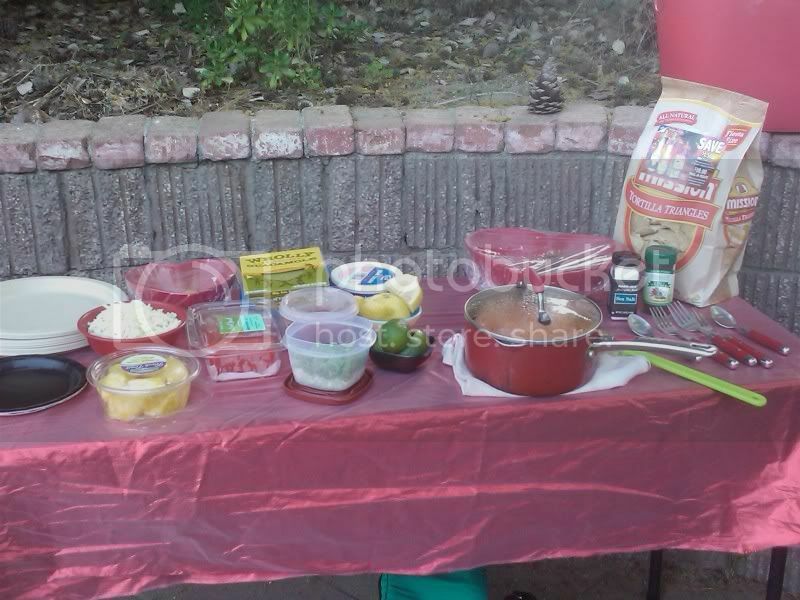 Fruits, veggies, Daiya, guacamole, all the toppings you can want! A pot of rice, chips and bean/crumble mixture. 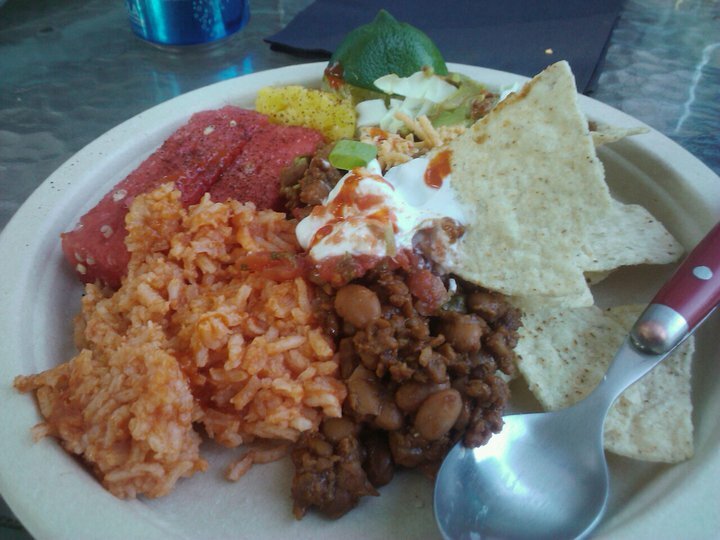 My plate included: chile/salted/limed fruit, sour 'cream', chips, veggies, guac, beans/crumbles and chips! All of it was great! Oh my yumm!!! looks so good!! Looks awesome! And I see some Wholly Guacamoly there, my favorite! 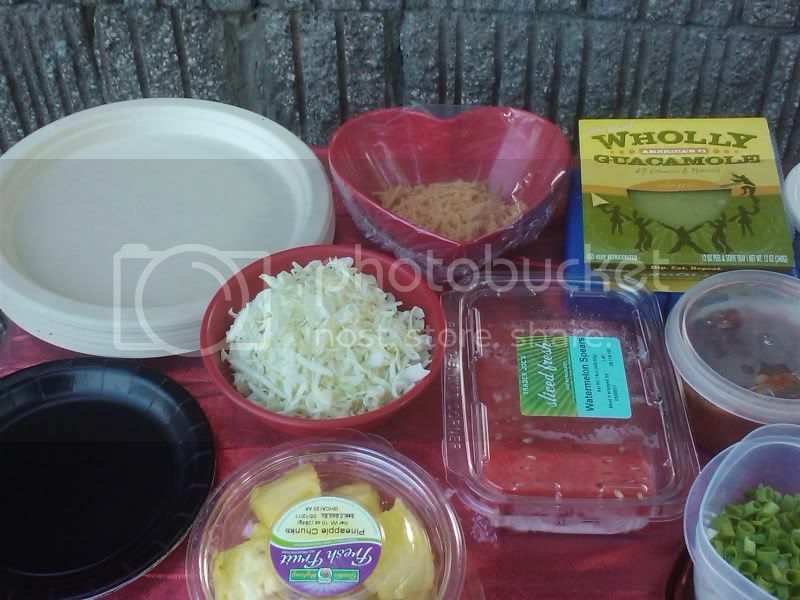 Nacho Bar - what a great idea! Thanks!